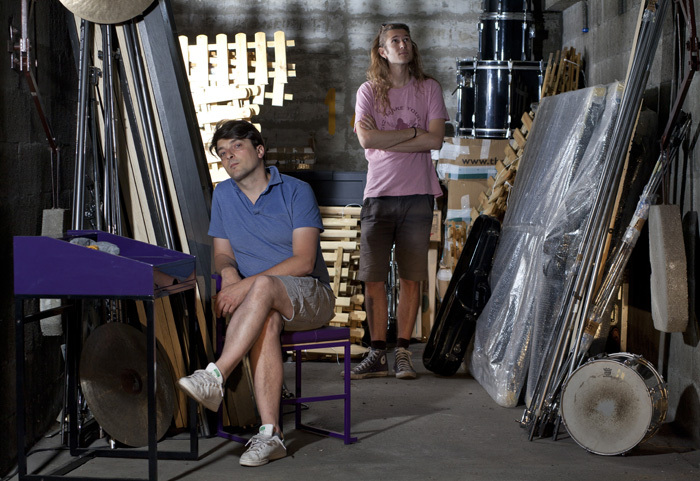 Since 2015 and beginning of their collaboration, Nicolas Field & Gregor Vidic (CH, tenor sax) have been exploring the world of improvisation. They’ve been using the musical tradition of jazz as a starting point, drawing inspiration from the explosive free-jazz of the late 1960s and 1970s and taking it to new directions using all sorts of other musical and extra musical influences to feed the common language they build together. They have toured in Europe and Japan, performing with Tapiwa Svosve (CH, sax), Yasuhiro Yochigaki (JP, drums), Junji Hirose (JP sax), Jasper Stadthouders (NL, guitar), Richard Comte (F, guitar), Fritz Welch (USA, vocal), Tetuzi Akiyama (JP guitar), Ingebrigt Håker Flaten (N, bass) and Dirar Kalash (baritone sax). The duo's first record, "Do you have a room", was released in 2017 and was very well received.